A delicate and soft color palette has been created in a reinvention of the old world traditional styles to create this lifestyle collection. Fashion forward colors combined with special hand craft weaving techniques are used with a perfect blend of wool and cotton for a super soft touch. Cortland brings unparalleled visual and textural appeal. Rugs America Cortland 6135 Rug, Emblem Blue, 5'0"x8'0"
This transitional style area rug features looped pile, is made of wool, and is stain- and soil-resistant.Product of India. The Soho Collection is today's answer to simple contemporary floor covering needs. Superbly plush, Soho is hand made in a multi textured high low cut pile for added affect. The Emerson collection is the perfect example of what it means to be subtle, yet sophisticated. 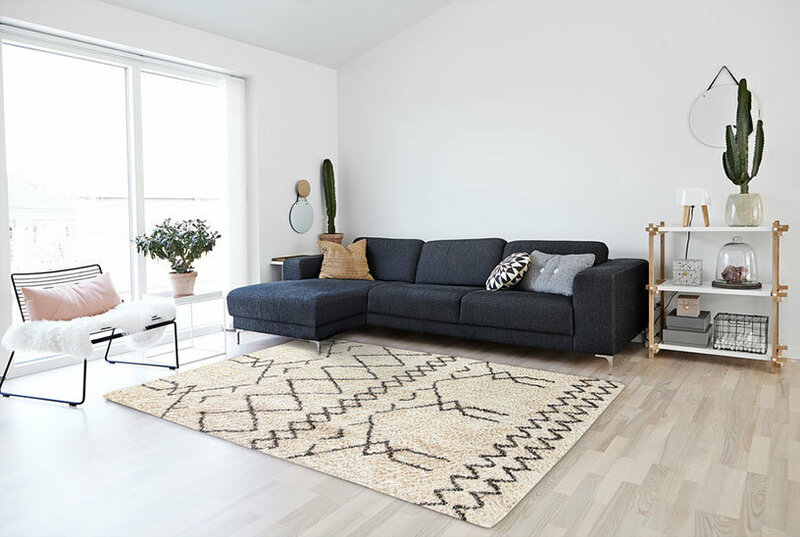 These flat woven, hand knotted rugs reach new heights in home fashion.